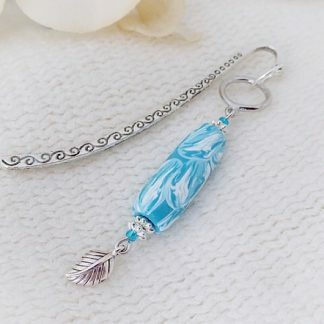 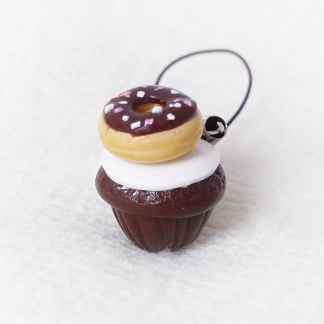 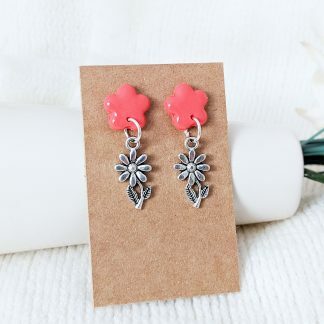 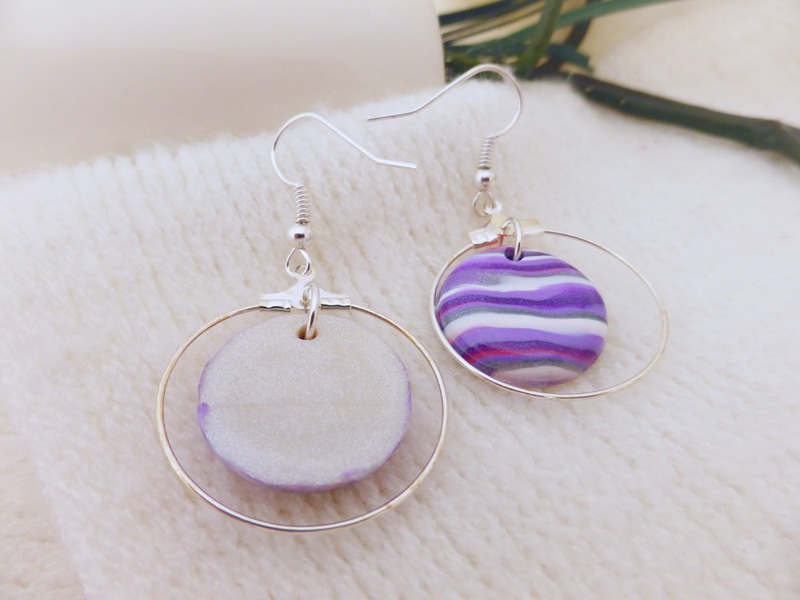 An unusual pair of dangly hoop earrings lovingly handcrafted from Polymer Clay. 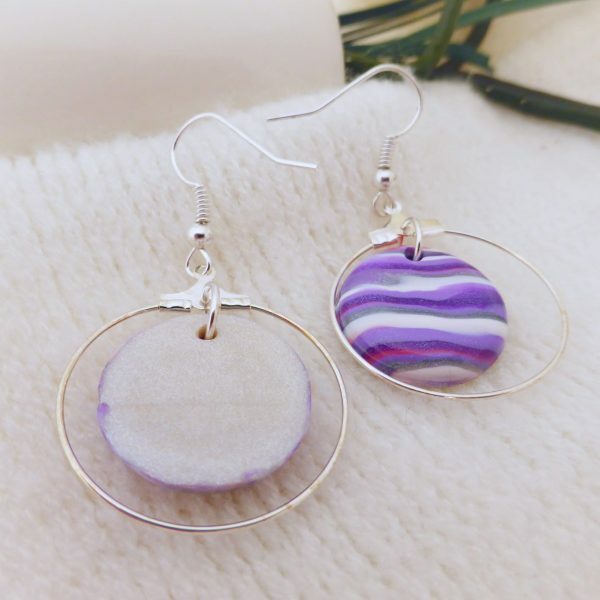 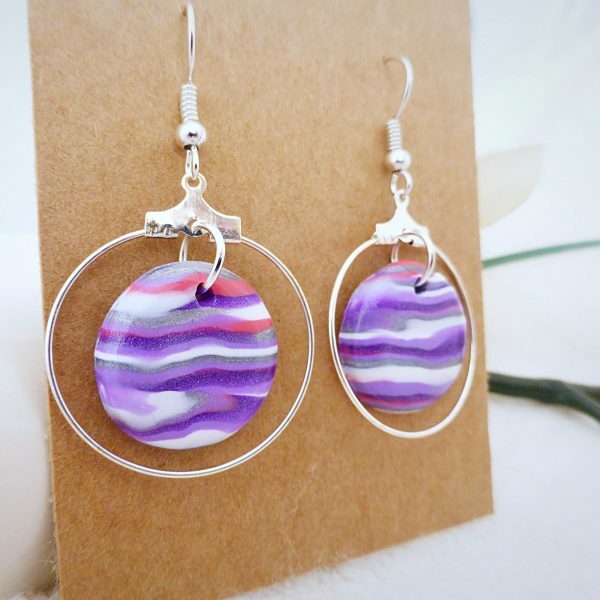 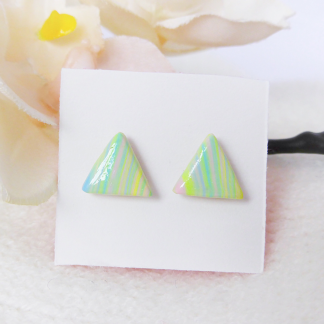 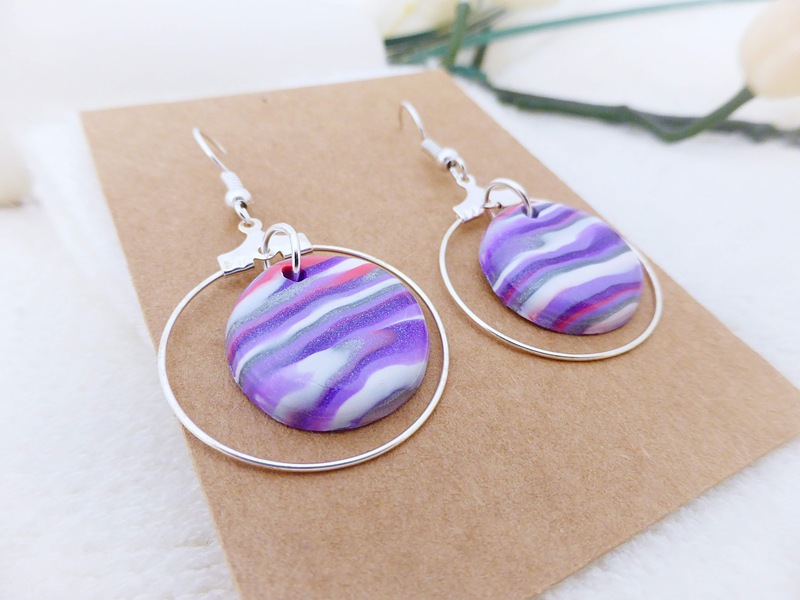 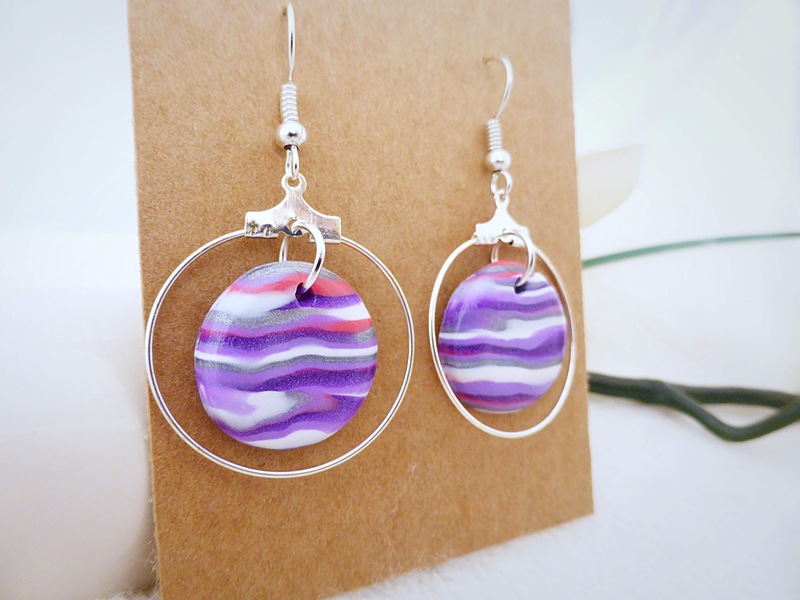 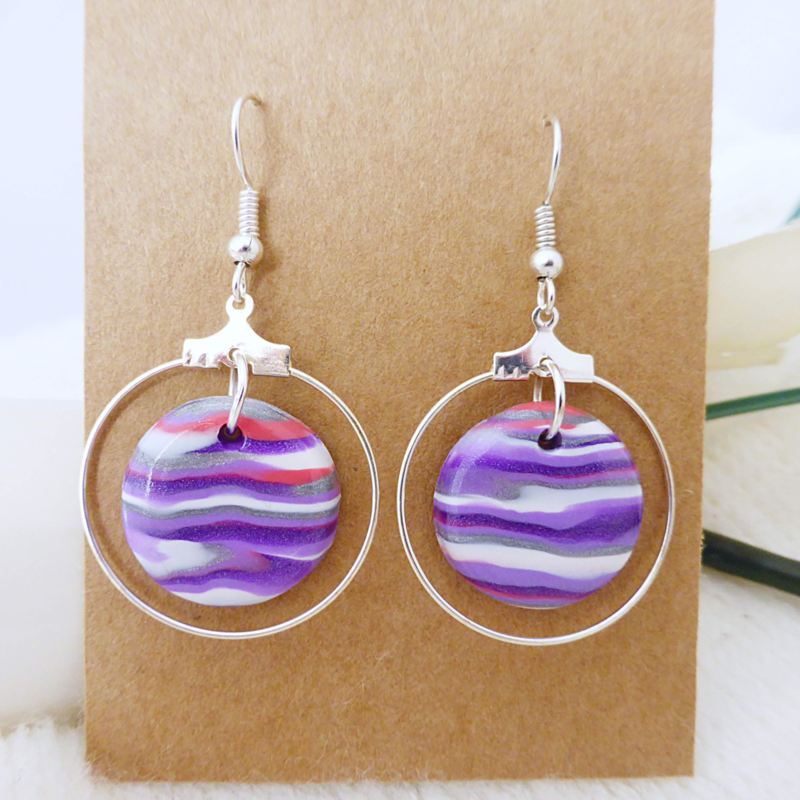 I have made the striped disc design using white, pink, silver & shimmery purple. 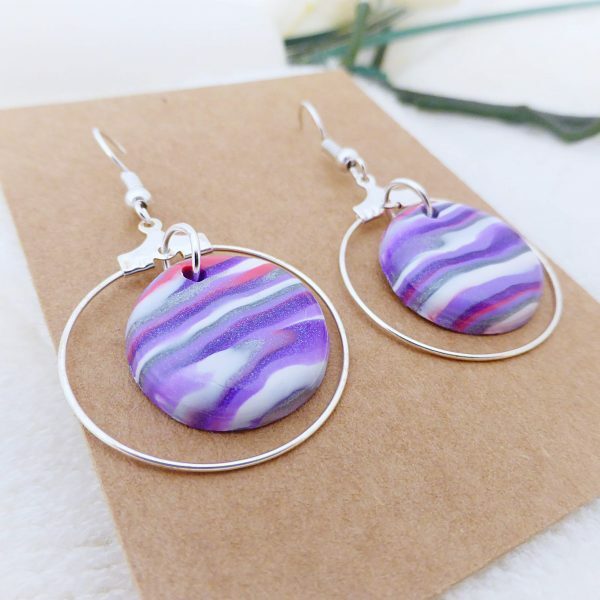 They would look great worn for any occasion.